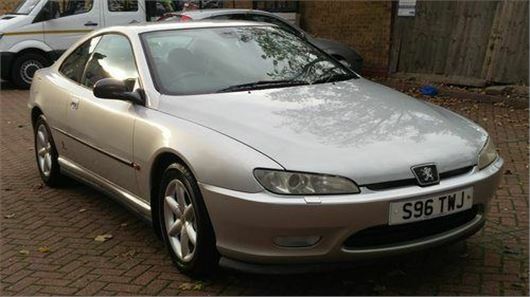 The Peugeot 406 Coupe is one of the most striking looking cars of the 1990s, if not of all-time. It may have been based on the humble underpinnings of the 406 saloon, a tidy enough handler if hardly a sports car, but the exquisite Pininfarina-penned looks were truly sensational, and enough to make people talk about Peugeot in a completely different light. Here was a car that was thirsty, impractical and quite cramped, but was so fine to look at that you instantly forgave it for its shortcomings. It’s now 20 years since the 406 Coupe first appeared, and while the vast majority of them have fallen by the wayside, there are still a few good ones around, with classic interest in them starting to pick up. This example, then, looks well worth preserving. A range-topping 3.0 V6 SE model from the first year of production, it’s in one of the best colours and features black leather trim. It has a few scuffs and scrapes, but looks tidy, with sensible miles and a long MoT. We’d say it’s worth every penny of the £795 asking price.